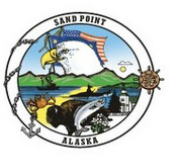 Sand Point Generating, LLC (SPG), a wholly owned subsidiary of TDX Power, owns and operates the Sand Point electric utility. The diesel plant includes four Caterpillar diesel engines with capacities between 400 kW and 900 kW, for a total generating capacity of 2.6 MW. 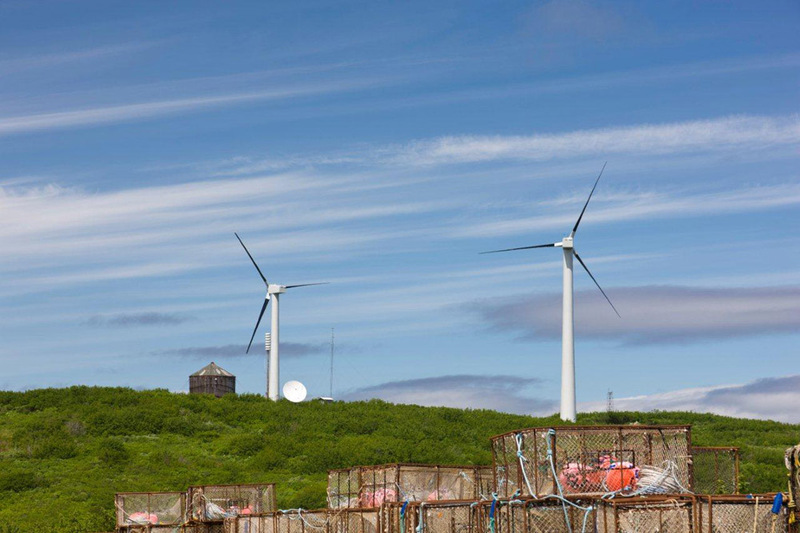 TDX also operates two 500 kW wind turbines (below) through a subsidiary, Aleutian Wind Energy, LLC. Since the wind turbines went online in 2012, nearly 85% of Sand Point's electric production comes from diesel generation, the balance being produced by the two wind turbines. The community hopes that the turbines can help reduce the cost of power for end users in the future, especially for commercial users that receive no Power Cost Equalization (PCE) subsidy. Current utility plans include using "excess" wind energy to produce heat in certain buildings in the community, with the goal of spreading the wind-to-heat concept throughout Sand Point. The utility has some bulk fuel storage capacity, but buys the majority of its diesel from Trident Seafoods', whose holding capacity is nearly 20 times greater than SPG's. On the heating side, Sand Point is like most rural Alaskan communities that use #2 diesel to produce power and provide heat for buildings in the community.